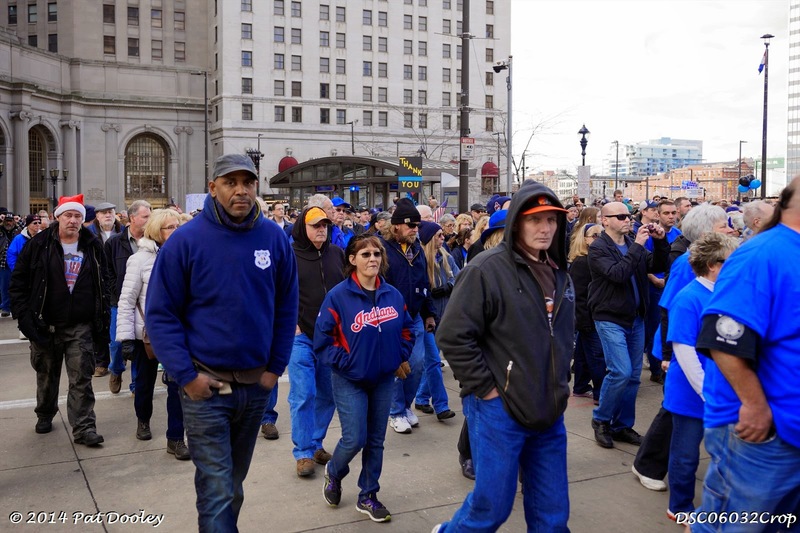 At noon today, Dec. 27, a crowd gathered in downtown Cleveland at Public Square to honor our men and women in blue, to pay tribute to those who have lost their lives in the line of duty, and those who risk their lives every day for our safety. Almost everyone was wearing blue to show their support. 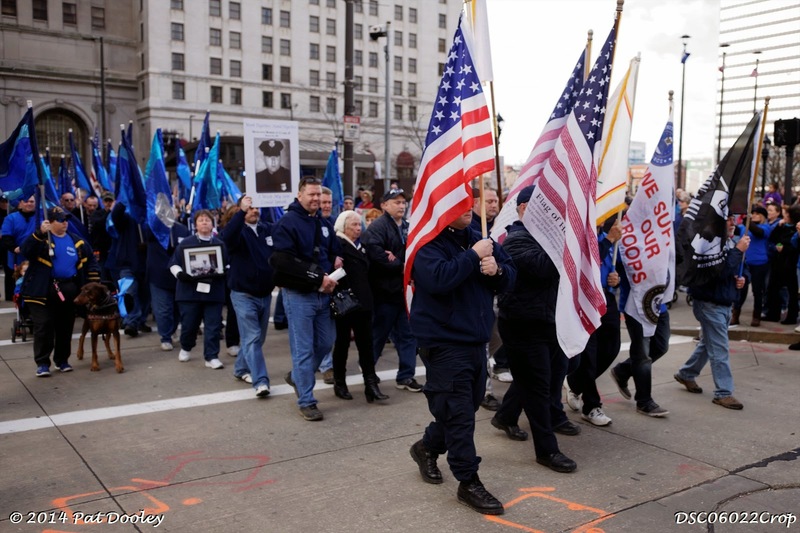 The rally included a silent march, led by an Honor Guard, to the Police Memorial opposite the Cuyahoga County Justice Center on Lakeside Ave.
On this special day we want to wish you and yours a very Merry Christmas! We hope your lives will be filled with blessings and joy this holiday season. 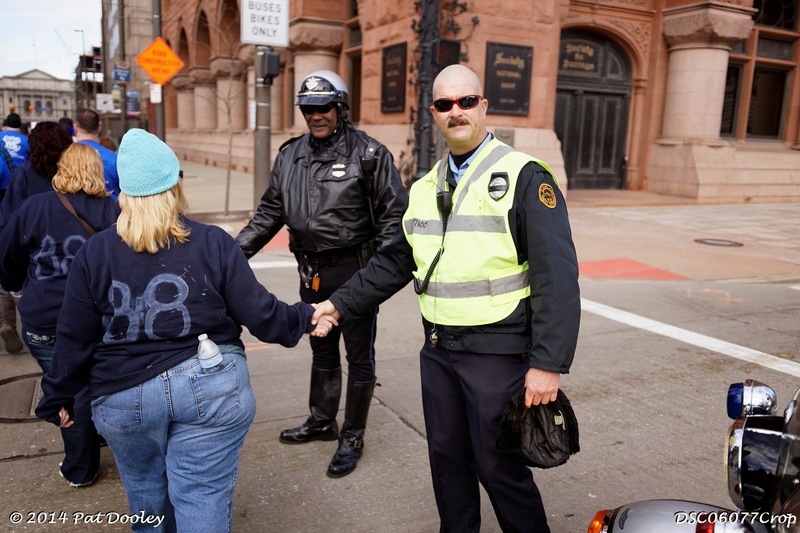 Friends and supporters of Cleveland Police officers are asking for the citizens' support. 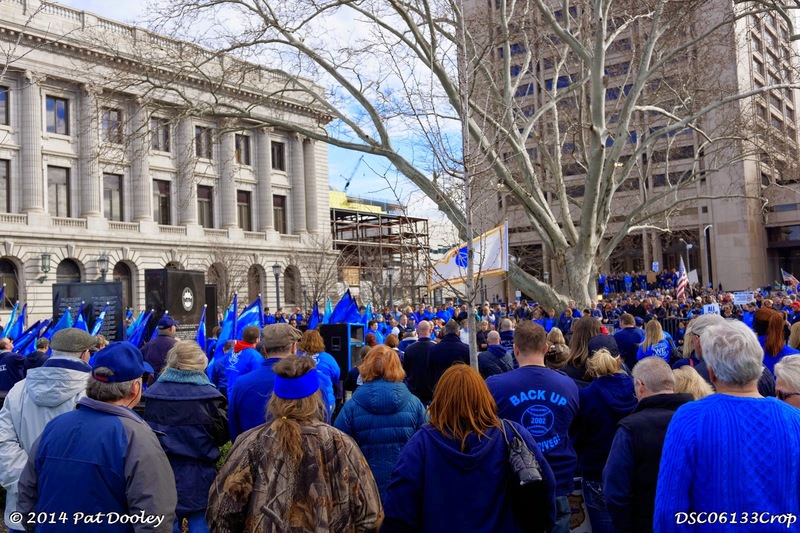 On Saturday, December 27 at 12:00 p.m., the group is holding what they are calling a "Sea of Blue Support Rally". 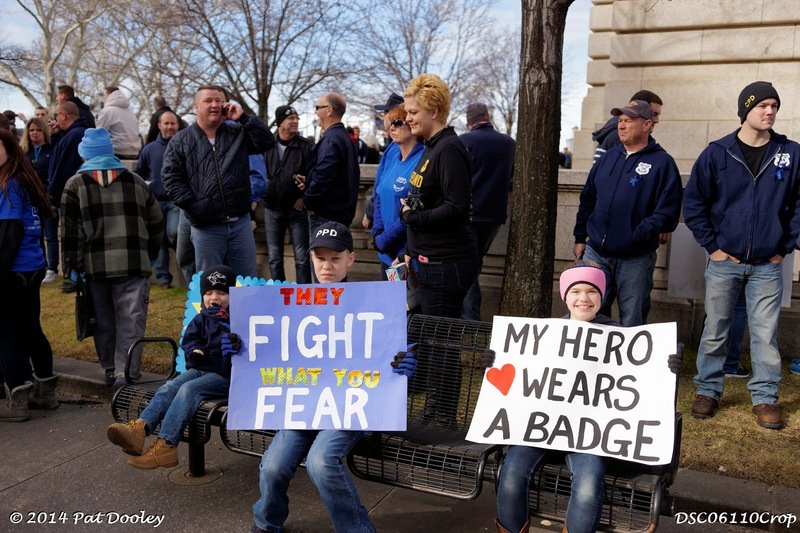 They want to start telling the world that officers' lives matter. They are also asking participants to wear blue in support of law enforcement. With the deadline fast approaching for 2014 Lie of the Year, President Obama has just one upped his closest challenger & golfing partner Speaker John Boehner. Speaker Boehner has been working hard to keep it close and recently closed the gap in this heated competition with his lie that he "will fight tooth & nail" against the Obama's Executive Action on Amnesty. Then ratcheting up the competition, Boehner put the race in a dead heat with his fib's on the Cromnibus. President Barack Obama unveiled a new U.S. policy toward Cuba on Wednesday as part of a deal that brought American Alan Gross home in exchange for three convicted Cuban spies. As he has done so often in the past, Obama tried to channel the perspective of America’s enemies and critics, as if his job were to act as a neutral mediator instead of defending U.S. interests and values. In the course of his address, Obama told American ten major lies, both of omission and commission. 2. Suggesting that the president can establish a U.S. embassy on his own. “Going forward, the United States will reestablish an embassy in Havana and high ranking officials will visit Cuba.” An embassy needs to be funded by Congress, and needs an ambassador to be approved by the Senate. None of that is going to happen–nor should it, especially after the disastrous experiment in re-establishing an embassy in Syria, which Obama did in 2009, to no good effect whatsoever. 3. No mention of Cuba’s role in repressing democracy abroad. “Cuba has sent hundreds of healthcare workers to Africa to fight Ebola.” Yes, and Cuba has also sent experts in repression to Venezuela, Bolivia and Ecuador. Cuban agents also allegedly beat and raped Venezuelan protestors earlier this year. For decades, Cuba assisted guerrilla armies abroad, fomenting bloody revolution in some countries and propping up communist regimes elsewhere. It continues to do so. 4. Suggesting that Cuba does not support terrorism. “At a time when we are focused on threats from al Qaeda to ISIL, a nation that meets our conditions and renounces the use of terrorism should not face this sanction.” Yet Cuba was caught, only last year, smuggling “missile equipment” to North Korea, the dictatorship that targeted America with a cyber-terror attack on the day Obama announced the new Cuba policy. Cuba continues to offer other kinds of support to terrorists. 5. False claim that the U.S. is to blame for lack of information in Cuba. “I believe in the free flow of information. Unfortunately, our sanctions on Cuba have denied Cubans access to technology that has empowered individuals around the globe.” This is perhaps the most offensive lie of all, since Gross was detained for trying to help Cubans access technology. The reason Cubans lack news and communication is because the regime censors them brutally, not because of the U.S. embargo. 6. 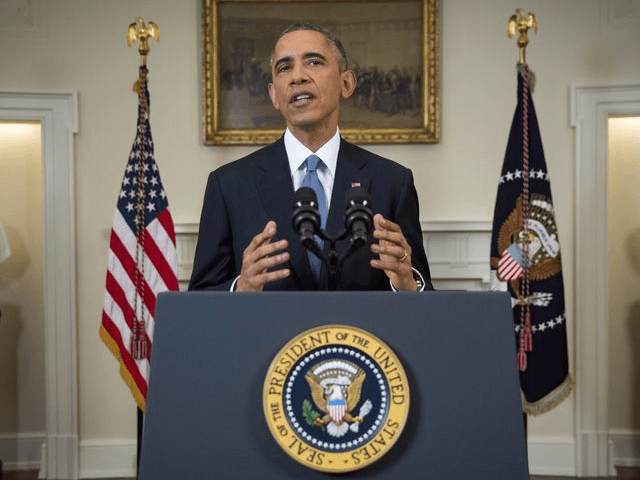 False promise to consult Congress on Cuba, when his administration broke that promise. “As these changes unfold, I look forward to engaging Congress in an honest and serious debate about lifting the embargo.” And yet when Sen. Marco Rubio (R-FL) asked White House official Tony Blinken whether the administration planned any major Cuba policy changes, Blinken (now Deputy Secretary of State) lied and said any change would come in consultation with Congress. 7. False claim that Cuba agreed to release political prisoners as part of a deal with the U.S. “In addition to the return of Alan Gross and the release of our intelligence agent, we welcome Cuba’s decision to release a substantial number of prisoners whose cases were directly raised with the Cuban government by my team.” As the Washington Post noted, these political prisoners were already set to be released as the result of negotiations four years ago with the Vatican and Spain. 8. False commitment to principle of changing policies that do not work. “I do not believe we can keep doing the same thing for over five decades and expect a different result.” If that were really what Obama believed, we would not see the administration pursuing policies whose failure is already evident as a matter of historical record: high taxes, economic redistribution, socialized medicine, union-dominated schools, restrictive labor and environmental regulations, and so on. 9. Conflating the collapse of the Castro regime with the collapse of Cuba. “Moreover, it does not serve America’s interests or the Cuban people to try to push Cuba towards collapse.” A false “binary choice.” By failing to differentiate between the regime and the country, Obama signaled his intention to allow the Castros and their heirs to entrench their power–abandoning the cause of freedom and reform, just as he did with the mullahs in Iran during the 2009 uprising. 10. Falsely identifying the U.S. as a colonial power. “Others have seen us as a form of colonizer intent on controlling your future..…Let us leave behind the legacy of both colonization and communism, the tyranny of drug cartels, dictators and sham election.” America actually liberated Cuba from Spanish colonialism, and though the U.S. influenced the island heavily for decades afterward, Obama’s attempted moral equivalence between “colonization” and communist tyranny is a false one. Obama borrowed a quote from the Cuban literary giant José Martí: “liberty is the right of every man to be honest.” Yet as my colleague Frances Martel has pointed out, Obamashortened that quote, leaving out the phrase ” and to think and to speak without hypocrisy.” Obama’s speech was both dishonest and hypocritical. It was an ominous introduction to a new policy that might have deserved a chance, were it not based on such evident disregard for American interests and Cuban freedom. Mike Myer's recent opinion "Political Litmus Tests Unwise" makes sense except where conscience and freedom meet. Should we not hold politicians accountable for issues like health care choice or kid's education? Describing Gov. Kasich's unilateral implementation of Medicaid expansion as a single issue may be naive, Ohioans voted for, and overwhelmingly passed, a health care amendment to protect themselves from the unpopular Obamacare in its entirety and Kasich disrespected that vote. Kasich then defied Ohio state representatives who said "no" to Medicaid expansion as they cut it from the budget. Kasich also ignored the throng of phone calls and email begging him not to support Obamacare via Medicaid expansion. Is it crazy to question Kasich's contempt for voters and his debt legacy which will saddle Ohioans with huge permanent budget busting surges in spending for decades? No. It is fiscally irresponsible to commit billions of future tax dollars to hospital and health insurance executives as with Medicaid expansion. Ditto for committing big stealthy spending growth for Common Core Standards, a national one size fits all education disaster. Many people oppose putting more of Ohio's poor into this broken Medicaid program because several studies show Medicaid patients have worse health outcomes than people without insurance. Kasich could have reformed Medicaid when he was first elected, thereby providing people with better outcomes at less cost, but he did not. Kasich uses the Bible to justify his actions but the Bible speaks of people helping people, not about politicians getting into heaven by creating generational debt. Lake County, Ohio - With the Constitution being trampled, Governors and Attorney Generals from twenty-four states have joined in filing a lawsuit against the current administration. 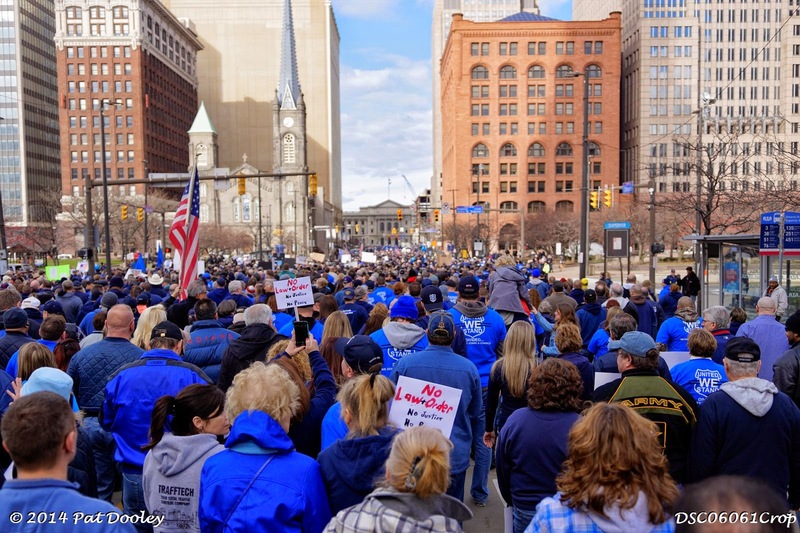 "As an Ohio citizen, I am glad to see Ohio has joined in the fight," stated Arzella Melnyk of the Grassroots Rally Team of Ohio. "As the open border/amnesty groups complain, and are trying to urge Governor Kasich to withdraw, they need to read the lawsuit which states 'This lawsuit is not about immigration. It is about the rule of law, presidential power, and the structural limits of the U.S. Constitution'." In joining this lawsuit, Attorney General DeWine clearly stated his reasoning when he said his decision had "nothing to do with immigration policy. It has everything to do with preserving our Constitution's separation of powers and combating the current administration's consistent efforts to expand presidential authority..."
"It's really quite simple," stated Marianne Gasiecki, Tea Party Patriots State Co-coordinator (OH), "either you understand and respect the rule of law or you don't. If you don't, how can you call yourself a United States Governor, let alone a President?" "When the President took an oath to faithfully execute the office of the President of the United States and he is to take care the laws be faithfully executed, but then in turn suspends the immigration laws Congress has in place," stated Julie Aldrich President of Ohio Citizens for Sensible Immigration, " there really is no other option than to take it to the courts. Our Forefathers wrote the Constitution to provide for a separation of powers so there would not be a power grab by one individual or branch of government." "While we rarely find ourselves in a position to applaud Mike DeWine - especially when it come to illegal immigration in Ohio, our tri-corner patriot hats are off to him for joining this lawsuit in defense of the rule of law and the U.S. Constitution," added Ralph King, Tea Party Patriots State Co-Coordinator (OH). "We can only hope Governor Kasich shows the rule of law and the U.S. Constitution this same compassion and respect." The House is about to leave for their Christmas break without doing a thing to stop the President's executive amnesty. Yes, that's right... after they ran for re-election on the promise to do everything they could to stop it! to get them to KEEP their PROMISE! We know that Christmas is just a few weeks away and you are busy preparing for the holidays, but that's what makes this lame duck Congress so dangerous for America. Congress also knows we're busy with the holidays and they're hoping we don't notice their broken promises. WE NEED TO MAKE SURE EVERY MEMBER OF CONGRESS FEELS THE HEAT AND KNOWS THAT THEY MUST STOP EXECUTIVE AMNESTY! that we need to call today & tomorrow! Tell them to keep their promises and use the spending bill to stop the funding for the President's executive amnesty. Pass the list of targets in your state on to your lists and ask them to do the same. Will Governor Kasich allow the Ohio Legislature to put Pay Increases in Front of Health Care & Education? Ohio - In a bold display of narcissism and selfishness, the Ohio House has fast tracked an amended substitute bill (Sub HB 661) through House Committee hearings in one day to give themselves a yearly "Cost of Living" increase. Meanwhile important bills such as the Health Care Compact (HB 227), which would put the destiny of Ohio's health care in the hands of its own citizens, and the bill to Repeal Common Core (HB 597) are pushed aside and allowed to sit idle. From the time Sub HB 661 was introduced, the Ohio House has managed to pass this bill for their own salary increases through committee hearings and on the floor for a full vote - in less than one weeks time. This is the same legislature that is reported to be cutting this legislative session short, leaving important bills, such as the previously mentioned, to die at the end of this session. "Where is the outrage, when people who are paid with our taxes, can't find the time to address important legislation, but in less than a week, can pass their own pay increases?" asked Marianne Gasiecki, Tea Party Patriots State Co-coordinator. 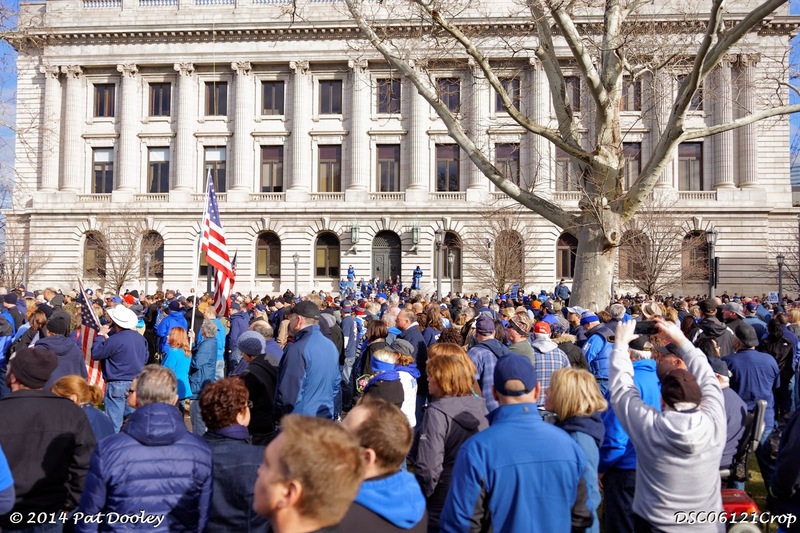 "Since they were able to find time to give themselves pay increases," stated fellow Tea Party Patriots State Co-Coordinator Ralph King, "one would expect that in the spirit of good government, the Ohio legislature would remain in session and actually do their job." We respectfully request that Governor Kasich take a stand for good government and Ohio citizens by calling on both Ohio legislative bodies to do the responsible thing and stay in session until both HB 227 and HB 597 have been given a full vote by both bodies, added both King and Gasiecki. Governor Kasich - the Nation is watching! During the last week of October, when media attention was focused on the impending midterm elections – and President Obama’s forthcoming executive action on amnesty – an issue of critical importance slipped almost unnoticed into the news cycle. Democrats on the Federal Election Commission (FEC) are getting serious about stifling free speech on the Internet. At issue is an obscure anti-Obama ad from Ohio that wound up on YouTube. Because the spot was placed for free, it fell within the “Internet exception” the FEC has recognized – across party lines – since 2006. Internet ads of a political nature would seem the very embodiment of “free speech” contemplated by the Founders in the Bill of Rights. Democrat members of the FEC – and the American Left in general – see criticism of their Dear Leader as a serious matter, however, and in need of government regulation. They’re going to need to see your papers. The Obama Machine, whether in campaign or governing mode (is there really any difference?) has long viewed the First Amendment as an impediment to its agenda of “fundamentally transforming” the country. During the 2008 campaign, Democrat prosecutors in Missouriannounced the deployment of truth squads to “immediately respond” (in an ominous, yet unspecified way) to any derogatory information about then-Senator Obama. They backed down after being called out for their “police state” tactics by the then-governor. Once elected, the post-partisan president let it be known he’d brook no second guessing, let alone dissent. In 2009, vocal critics of the healthcare takeover could’ve found themselves on the flag@whitehouse enemies list, had they spread information deemed “fishy” by the administration. After Robert Gibbs’ feeble insistence that of course the White House wasn’t keeping names and email addresses, the site was dismantled. Obama uses the bully pulpit to let his subjects know what a danger the First Amendment poses to his post-partisan agenda, and the 2010 State of the Union address was an ideal setting. Displeased with the recent Citizens United ruling, he took the unprecedented step of rebuking Supreme Court justices as they sat on the front row. Separation of powers and even basic rules of courtesy and decorum take a back seat, when the Cult of Personality needs to see its enemies’ donor lists. Following his 2010 mid-term “shellacking,” (and while his IRS was systematically targeting his perceived enemies), President Obama stepped up his assault on dissenters. In an absurd, "middle school hall monitor meets police state" story, Attack Watch was born. Concerned supporters of the president everywhere were asked to monitor and report any and all derogatory information. Knowledge is power, especially when informing on your neighbors. And again, they certainly kept no list of names…not the folks who ask folks to document the content of group prayers. While it’s comforting that Attack Watch died relatively quickly (and mostly from ridicule), the sentiment behind the buffoonery is both serious and scary. The Left views criticism of their president as dangerous; the Bill of Rights is secondary. Democrat FEC Vice Chairman Ann Ravel is unambiguous about both the perceived threat to her president and the way to combat it. When her attempt to overturn the 2006 “Internet exception” ruling failed on a 3-3 party line vote, Ravel took serious offense. Because the FEC wouldn’t force free Internet advertising into the same classification as paid ads on radio or television, she needs to shake things up. “A reexamination of the commission’s approach to the Internet and other emerging technologies is long overdue,” she said, as if regulating political speech is the logical next step. This is not Ravel’s first attempt to wipe her feet on the Bill of Rights. Two years ago in California, she attempted to bring bloggers and "online commentators" under state regulation. Unbowed by her failure at the state level, she now wants to take her speech-stifling act national. If Ravel and her Democrat FEC colleagues have their way, bloggers and websites like The Drudge Report will answer to the federal government. Attack Watch was silly; these proposed new regulations are deadly serious. Ultimately for the Left generally and for Obama in particular, this is about control. Their nationalization of the health care system was a means to get the government more involved in people’s individual lives. Things that get in the way of that control – like the Constitution – are mere impediments to be dealt with. The President shredded Article 1, Section 8 of the Constitution so he could control immigration. Does anyone think he sees the First Amendment as an obstacle to his controlling the Internet? People are criticizing him, after all.